Extremely soft material to wear, nice! with rubber band at the cuffs and waist. two Handwarmer pockets one interior pocket. Suitable also for the colder days. 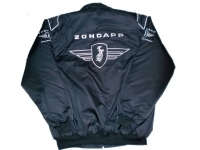 All applications and logos are really top notch embroidered! 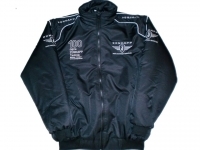 Anything ironed or printed, embroidered all super! Das neue Fan Set für die Saison 2018 ist da , hier exclusiv bei ZÜNDAPP-technik... alles Größen ! !